Along with the yarn for my mother’s sweater, I bought some yarn for a classic Aran sweater at the Southern Adirondack Fiber Fest. Like every other knitter on the planet, I’ve got a slow burn for a heavily cabled, cream colored sweater. I’ve had Stonecutter by Michelle Wang in my queue forever, and Snoqualmie (also by Michelle) made it to the top of my queue when it came out. I’ve got a desperate need to make Snoqualmie, but I want to make it in the yarn it’s intended to be made with and it may take me a good decade to be able to buy that much Brooklyn Tweed at once. So on the back burner that one sits. 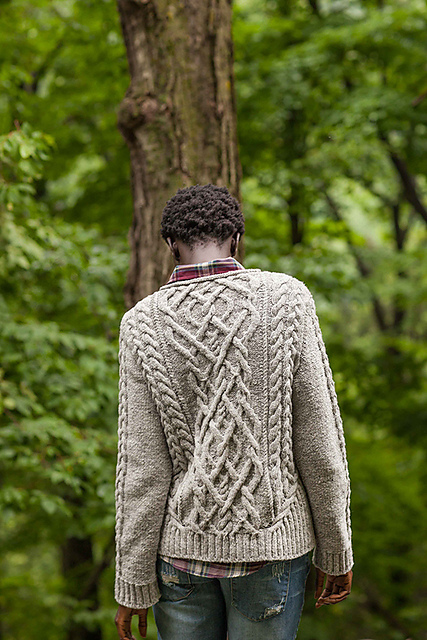 The chart for Stonecutter has got to be a work of art in itself, but it’s not really a classic Aran sweater. I would still love to knit it, but my yarn doesn’t seem like a perfect fit. Oh yes, the yarn. 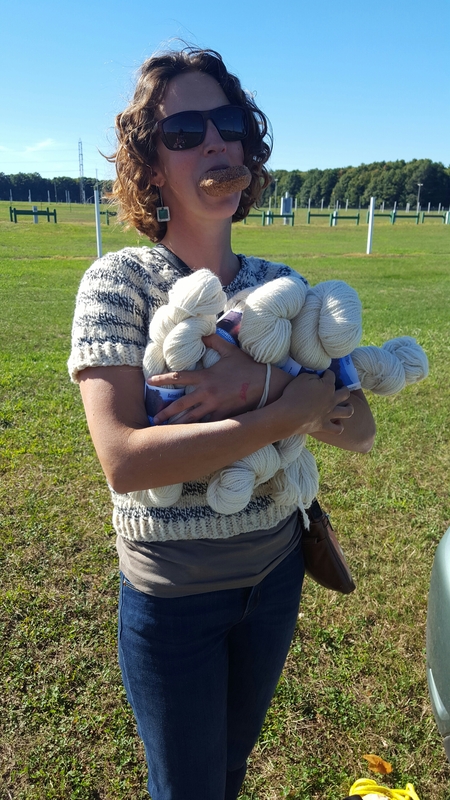 I was on a wild goose chase for the perfect wooly rustic yarn to knit my sweater with and I found it at the booth of a yarn store in Greenwich, NY –called Yarn (they don’t have a website?). It’s Adirondack DK, grown and spun right in the Adks. So obviously I was pretty smitten with it. Yarn was having a sale on it which was excellent because I watched a sweater’s worth slide in under my budget with the same apprehension that you watched your Aunt Ethel shimmy under the limbo stick at your wedding. Relief all around. So I hunted for a pattern and looked mainly at Brooklyn Tweed, who I’ve been showering with my love and appreciation for years. 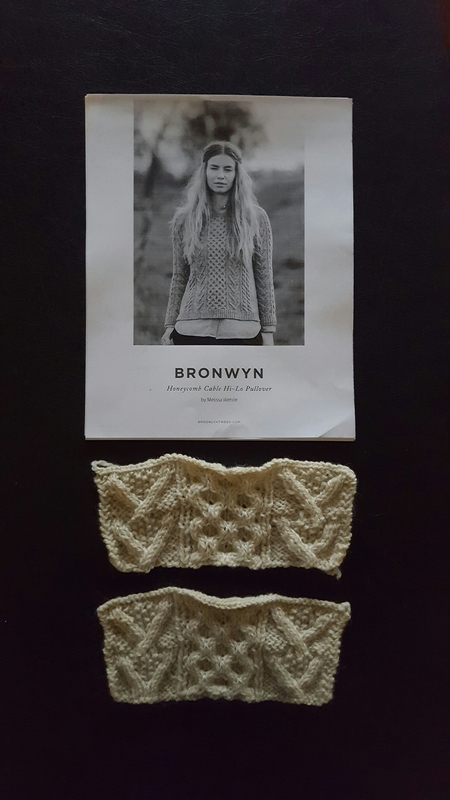 I found Bronwyn by Melissa Wehrle which is written for worsted weight, but decided to do the math to make it work with my yarn. 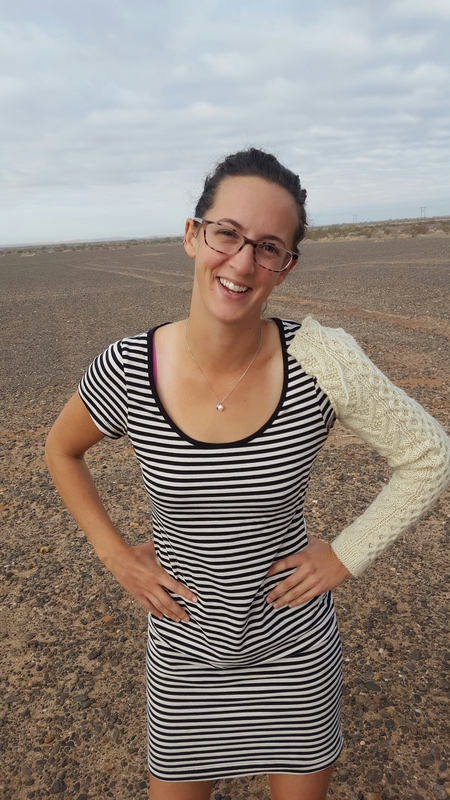 I typically knit a 34-37 inch bust for myself depending on what I want in fit. 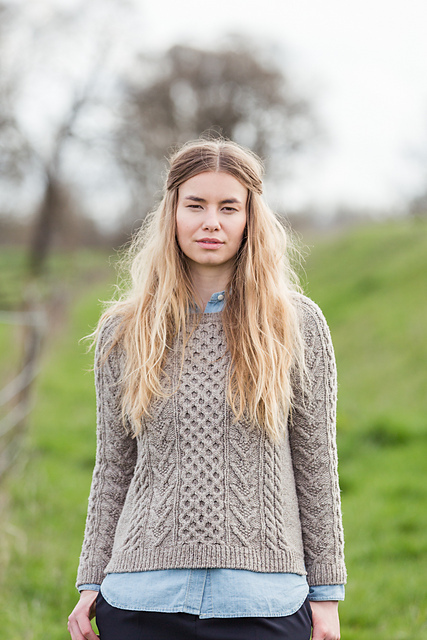 the sweater is written for 4 to 5 inches of ease for an oversized fit. I was having a hard time choosing between 37.75 and 40.5 for a size and decided to swatch. I started with one needle size down because of my yarn weight and didn’t love the cables, so I sized down another needle and the fabric was perfect, but the gauge was way off. I decided to use those Math Skills I taught the Youth of America and found that if I knit the 44.5 inch size, I would end up with a sweater between the 37 and the 40 inch sizes. 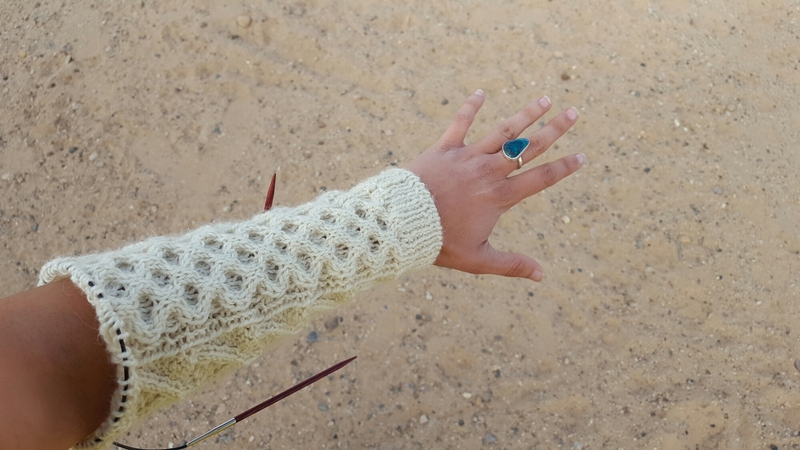 Since that sounded too good to be true I knit a sleeve as a test for my theory and holy smokes it worked! I’m casting on for the body today. I don’t think Christmas knitting can get any more perfect than white cables, do you?